Red Lodge Community Church is a Local Ecumenical Partnership of the Methodist and Church of England churches. 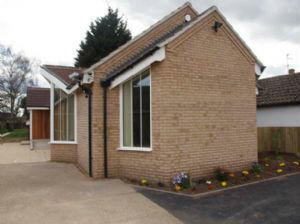 It is a small church situated on the edge of a large new residential development. The sanctuary was damaged by fire some years ago, It has now been re-built. There is usually a monthly community lunch on the 3rd Sunday.